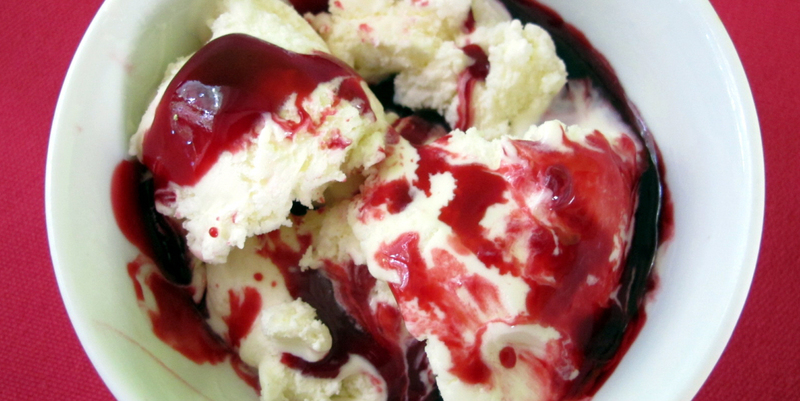 The coulis has an intense berry flavour and can be made in seconds in the microwave. Simply pour a little of the hot syrup over a scoop of vanilla ice cream. This coulis could also taste wonderful over meringues filled with whipped cream. Pour the Squeezed Blackcurrant fruit cordial into a microwave safe jug. Thoroughly whisk the cornflour in. Cook on high for 30 seconds in the microwave. Continue to microwave, stirring every 10 seconds until the syrup has thickened. Pour while still hot over scoops of vanilla ice cream.